Software developers often long to upgrade their careers by becoming software architects. But many don't realize that although the job title suggests a work day focused on technical decision making, the reality is quite different. Over two days, Nathaniel Schutta details the skills you need for success in the real world, where communication trumps coding, as he walks you through what it means to be a successful architect. You're a newly minted architect with a strong technical background who wants to hit the ground running in your new role. You're a senior technical person asked to make architectural decisions on your projects, and you want to sharpen your skills. 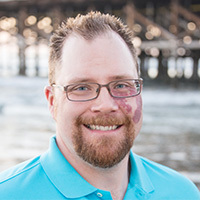 Nathaniel T. Schutta is a solution architect focused on making usable applications. A proponent of polyglot programming, Nate has written two books on Ajax and speaks regularly at various worldwide conferences, No Fluff Just Stuff symposia, universities, and Java user groups. In addition to his day job, Nate is an adjunct professor at the University of Minnesota, where he teaches students to embrace dynamic languages. Most recently, Nate coauthored Presentation Patterns with Neal Ford and Matthew McCullough. Lecture and hands-on exercises: Architecture is all about trade-offs; determining which “-ilities” matter; Architectural Katas; a walk-through of the iDon’t Drive System; determining if you've violated an "-illity"